Hey friends! I recently was able to get my hands on a few Carolina reaper peppers (hottest pepper in the world), so of course I made a small batch of hot sauce out of them. It only made 3.5 bottles. I have 2 bottles up for grabs but there's a catch. Copy this image and post it on Instagram. 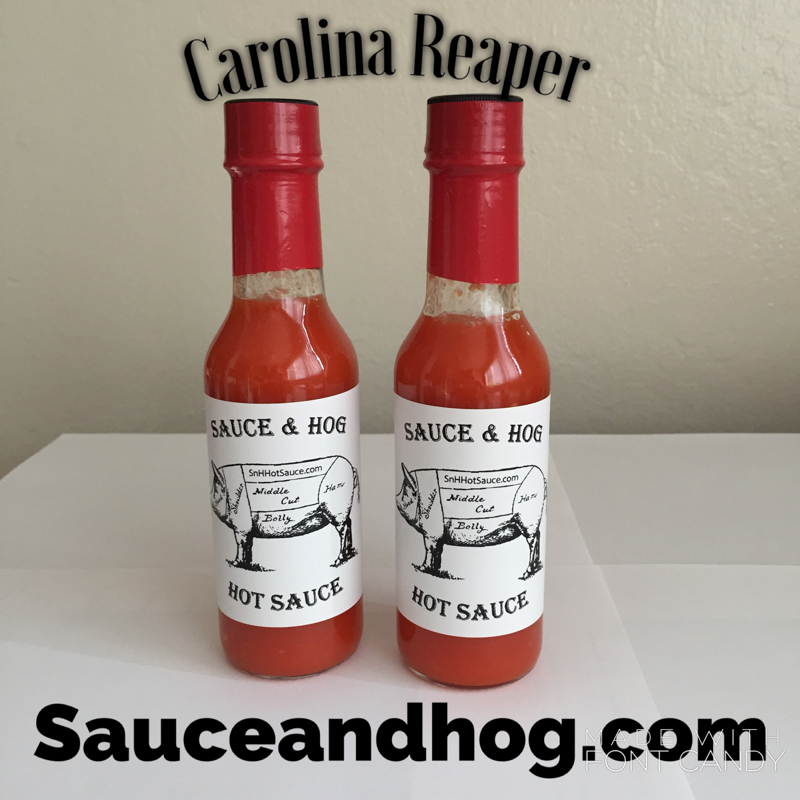 Tag it with #sauceandhog and # Hotsauce, my name @sauce_and_hog_hot_sauce, then follow my Instagram page (if you don't already) The top 2 people with the most "likes" will get a bottle of the Carolina reaper hot sauce. Contest endsl Monday Aug 3 at 5pm pst. I wanted to give you guys a quick update on where I am. Over the past month, I have been working on the business side of things. This is the boring part of getting a business up and running but required. This entails forming an LLC, getting all of my tax ID stuff and applying for a business license in California. Well I have great news, everything was approved this week. I am officially Sauce and Hog, LLC and legally allowed to sell and distribute. I am now in the process of finding a co-packer to manufacture and bottle my recipe. I am trying to find a local co-packer so I can pick-up the final product and not have to get it shipped to me. The problem I am having is the minimum batch size that a co-packer wants to do. Because of testing, equipment set-up, breakdown, and cleaning, most packers want a 100-300 gallon minimum. Of course the higher volume the cheaper it will be, but the problem is that at 300 gallons, that equals 7,680 bottles of Hot sauce in 5 oz bottles. Where am I going to store 640 cases of Hot Sauce???? These are the problems of a small company. If anyone knows of a co-packer that can handle small runs of 10-30 gallons in the Bay Area, please email me. Some of you have been asking for more of the Fresno Thai Hot Sauce. There has been a recent shortage of Thai peppers and Fresno peppers in Northern California over the past few months. I was able to find Fresno peppers a few weeks back at my local store, but still unable to find Thai peppers. Last week, I found a small batch of Thai peppers at a small produce market! With that said, I was able to make another batch. It is currently fermenting in the jar, but should be ready to ship next week, I should yield about 12 5 oz bottles, so let me know if you want more.